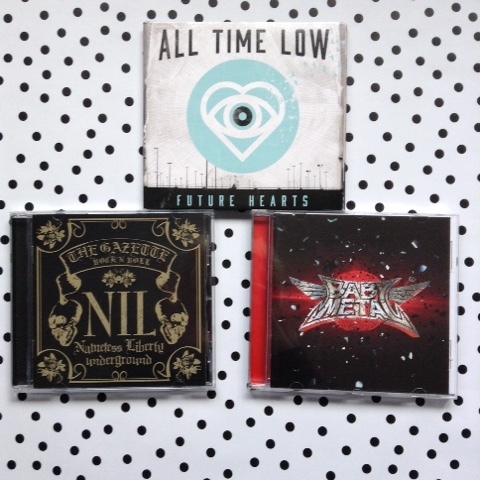 For me, buying physical CDs is such a treat. I picked up these beauties the other day in HMV in Bath. 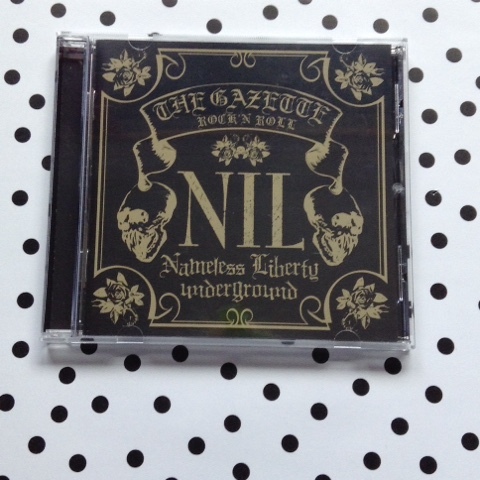 First up: NIL by GazettE. 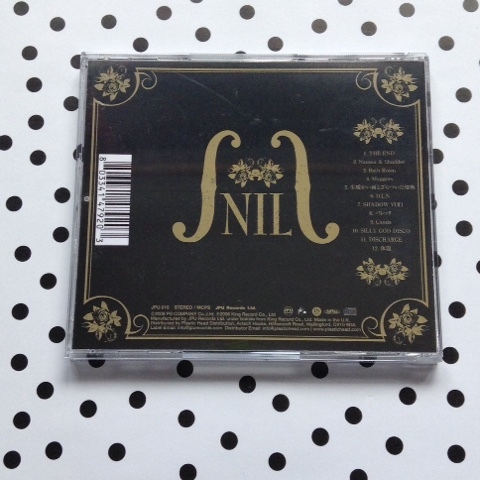 I'd heard that JPU records were licensing some of Gazette's older stuff, and I saw this in HMV and just pounced. I didn't even look at the track list, it was just an insta-purchase. 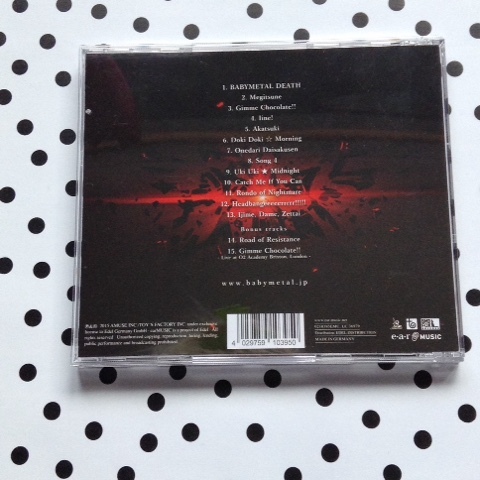 Luckily, upon later inspection, the track list is amazing, including some of my favourite GazettE tracks like 'SILLY GOD DISCO', 'Bath Room' and 'Cassis'. It's a great album, and definitely worth the tenner I spent on it. I am so stoked for Gazette's next album, 'DOGMA' which will be released on the 26th August. Gazette 100% made the list of Bands I'd love to see in Japan. Check out the teaser for DOGMA on GazettE's official Youtube channel. 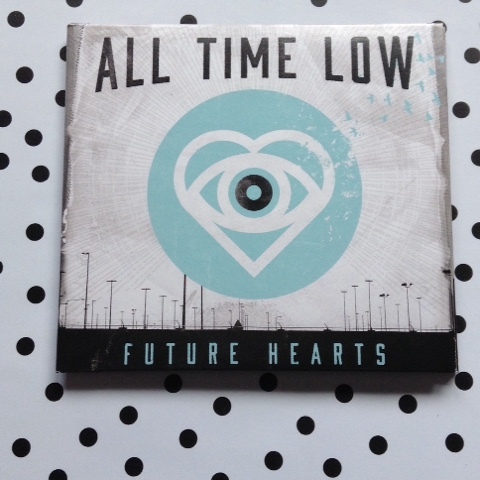 Next up, another old favourite of mine: All Time Low's latest offering: Future Hearts. I'm a bit late in purchasing this one, but I'm so glad I did! It's just a solid album with everything you could want from ATL. 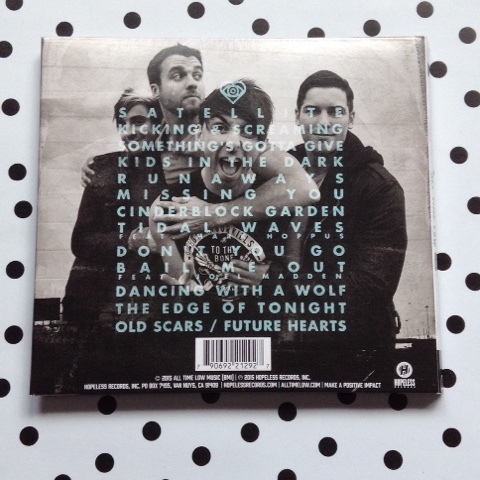 I can't wait to hear them play tracks like 'Kicking and Screaming', 'Runaways' and 'Cinderblock Garden' live. 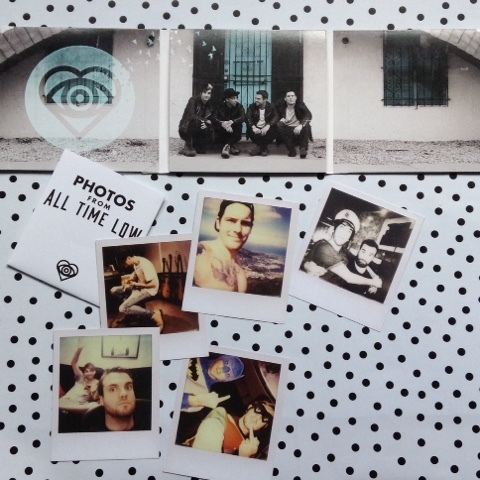 It also came with some really cute polaroids of the band, and as it was 2 for £15, what's not to love? 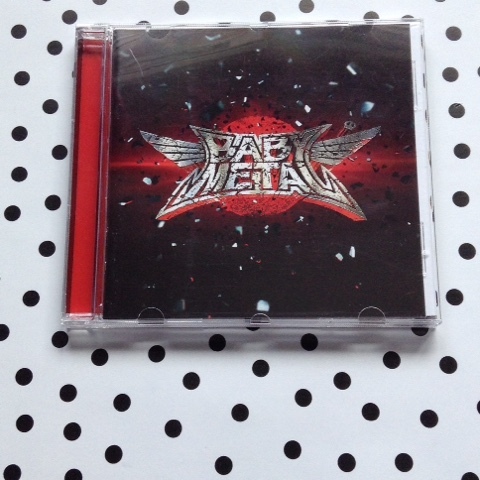 Next up, and the second half of the 2 for £15 deal at HMV, is Babymetal's eponymous debut album. I didn't know how to feel about Babymetal for the longest time, but for now I've just decided to accept the weirdly awesome vibes, even if it's not 'real metal' and their outfits are disgusting. Jokes aside, Babymetal's album is a really fun listen, with all their singles like 'Gimme Chocolate' 'Megitsune' and 'Headbangeeeerrrr!!!' (or however they spelt it). I'd say it was surely worth it, and Babymetal also made my list of bands I want to see next year. That's it for now. Hopefully soon I'll be buying some more music, I'm thinking maybe Neck Deep, and I'm gonna pre order GazettE's new album and BMTH's too. What music are you guys listening to lately?